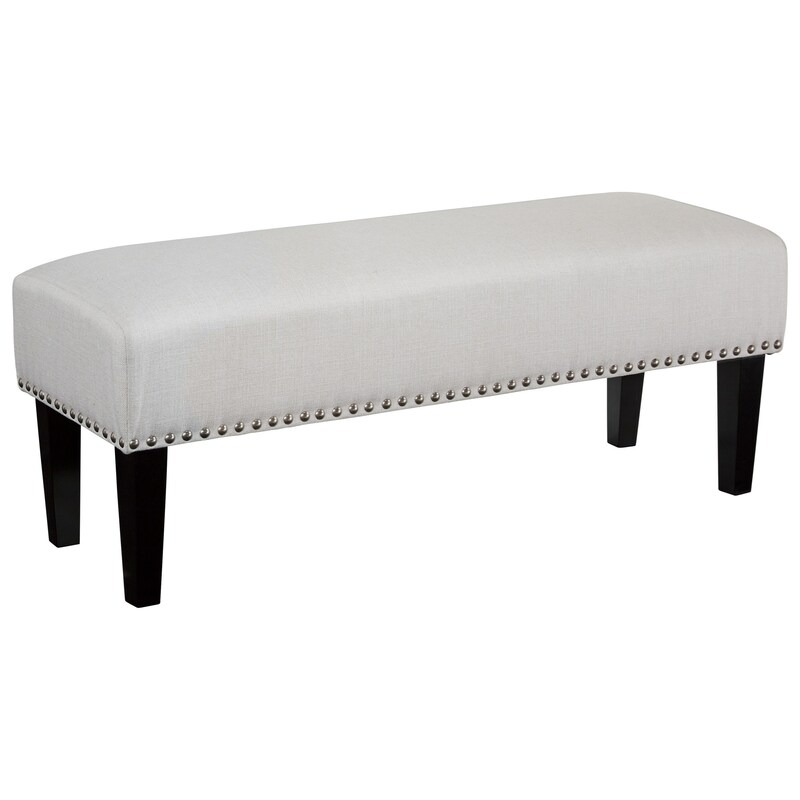 This upholstered accent bench/ottoman adds stylish seating in any room. It features a textured fabric in a light oatmeal color. The design is complete with bronze nailhead trim and tapered wood legs in a dark finish. The Beauland Oatmeal Fabric Accent Bench/Ottoman with Nailhead Trim by Signature Design by Ashley at Household Furniture in the El Paso & Horizon City, TX area. Product availability may vary. Contact us for the most current availability on this product.